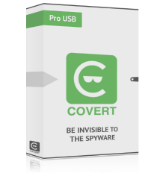 COVERT Pro - an innovative solution to ensure total privacy while working at the computer. It protects against spyware and has instant messenger with encryption. When working in secure platform, all user’s actions in all applications (browsers, email clients, office software, messengers, etc.) are safely hidden. Capturing data from keyboard input and monitor screen is blocked. 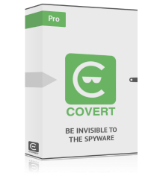 Using special features of COVERT Pro (Network monitor, Driver monitor, System processes, System services) allows you to detect and remove all hidden applications. COVERT Pro allows you to block the microphone.